Joshua Reynolds, the seventh of ten children of Samuel Reynolds (1681–1745), schoolmaster, and his wife, Theophila Potter (1688–1756), was born at Plympton, Devon on 16th July, 1723. His his great-grandfather was the eminent mathematician, Thomas Baker. Reynolds was educated by his father. According to his biographer, Martin Postle: "Classes were small and the curriculum, in line with more advanced Lockean precepts, would have extended beyond the parameters of classical scholarship, to include geography, arithmetic, and drawing. In addition to his teaching Reynolds's father maintained regular correspondence with friends on topics ranging from medicine to metaphysics. He observed the stars through his telescope, cast horoscopes, and wrote treatises on subjects as diverse as theology and gout." Reynolds took a keen interest in painting. His first recorded portrait, made at the age of twelve, dates from 1735. The subject was a local clergyman named Thomas Smart. In 1740 he was apprenticed to the artist, Thomas Hudson, whose studio was at Lincoln's Inn Fields in London. His work for Hudson involved running errands, preparing canvases and painting accessories in portraits. He later complained that he regretted that he had not received a proper academic training, lacking "the facility of drawing the naked figure, which an artist ought to have". By 1743 Reynolds had established himself as a portrait artist. The author of Joshua Reynolds: The Creation of Celebrity (2005) has argued: "The few surviving portraits of this period, notably those of the Kendall family, indicate that Reynolds was then working very much in the manner of Hudson, turning out competent, if unexceptional, works. Reynolds's burgeoning talent emerges more clearly in the portraits of his immediate family, painted about 1745–6, notably those of his sister Frances (known as Fanny) Reynolds, his father, and his own self-portrait. The principal pictorial influence on all three portraits is Rembrandt, the artist who was to influence Reynolds more profoundly than any other, especially in his earlier career. During this period Reynolds also painted a number of self-portraits in the manner of Rembrandt, of which the most celebrated shows him peering out towards the viewer, shading his eyes with his hand." Reynolds took a house in Devonport with his two unmarried sisters, Fanny and Jane. Most of his clients lived in London and in 1747 he established a studio in St Martin's Lane. During this period he became friendly with John Wilkes. 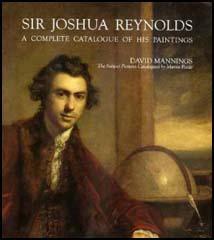 In November 1748 The Universal Magazine named Reynolds as one of the nation's most important artists. In 1749 Reynolds travelled to the Mediterranean. This included visits to Lisbon, Cadiz, Morocco, and Minorca. In March 1750 he arrived in Rome. Over the next few months he made copies of old-master paintings. Reynolds later recalled: "I found myself in the midst of works executed upon principles with which I was unacquainted: I felt my ignorance and stood abashed. Notwithstanding my disappointment, I proceeded to copy some of those excellent works. I viewed them again and again; I even affected to admire them, more than I really did." In May 1752, Reynolds arrived in Florence. After two months copying paintings he moved to Venice where he spent time with the Italian painter Francesco Zuccarelli. That summer he also visited Padua, Milan, Turin and Paris and arrived back in London on 16th October, 1752. Reynolds resumed his portrait practice at 104 St Martin's Lane. It has been claimed that William Dobson, William Hogarth and Allan Ramsay had the most influence of his style. Reynolds produced over 100 portraits a year. 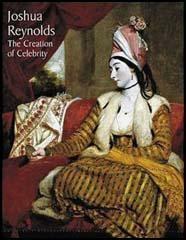 The author of Joshua Reynolds: The Creation of Celebrity (2005) has pointed out: "And as he became more successful so his prices rose accordingly. In 1753 he charged 48 guineas for a full-length portrait; by 1759 the price had risen to 100 guineas, and by 1764 to 150 guineas". Those painted by Reynolds included Josiah Wedgwood, Francis Barber, Lord Palmerston, Warren Hastings, Samuel Johnson, James Boswell, Henry Thrale, Laurence Sterne, Joseph Banks, Edmund Burke, Oliver Goldsmith and David Garrick. According to one sitter "Reynolds would... walk away several feet, then take a long look at me and the picture as we stood side by side, then rush up to the portrait and dash at it in a kind of fury. I sometimes thought he would make a mistake and paint on me instead of the picture". When the Royal Academy was established in 1768, Reynolds was elected its first president. The following year George III knighted Reynolds at St James's Palace. His biographer has argued: "Reynolds's greatest critic within the Royal Academy was James Barry, who in 1782 was elected as its professor of painting. Barry's differences with Reynolds were primarily ideological. Even so, he used his position and his annual academy lectures to mount increasingly personal attacks on Reynolds." According to Martin Postle: "Reynolds was about 5 feet 6 inches tall, with ruddy, rounded facial features. He was partially deaf, which caused him in later life to affect a large silver ear-trumpet. He blamed the affliction upon a chill caught in the Sistine Chapel, although it was probably hereditary, as was his slight harelip.... Among friends, of whom he had many of both sexes, Reynolds was admired for his generosity, even temper, and capacity for listening. His dinner parties were notorious for their air of anarchic bonhomie, Reynolds invariably inviting far more guests than could be accommodated at his table." Following the death of Allan Ramsay in 1784 Reynolds was appointed as painter to George III. However, five years later his sight began to deteriorate and he was forced to give up painting. The Morning Herald reported: "Sir Joshua feels his sight so infirm as to allow of his painting about thirty or forty minutes at a time only and he means in a certain degree to retire." In 1788, Reynolds told James Boswell he had never married, because "every woman whom he had liked had grown indifferent to him". 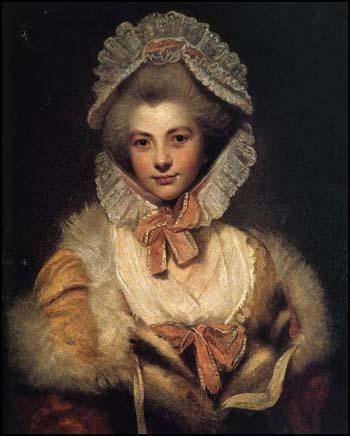 Fanny Burney was a regular visitor. He told her in January 1793: "I am very glad to see you again, and I wish I could see you better! but I have but one eye now, and scarcely that." 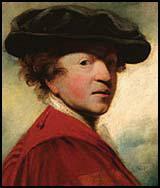 Joshua Reynolds died of liver disease at his home at 47 Leicester Square, London, on the evening of Thursday 23rd February 1792.